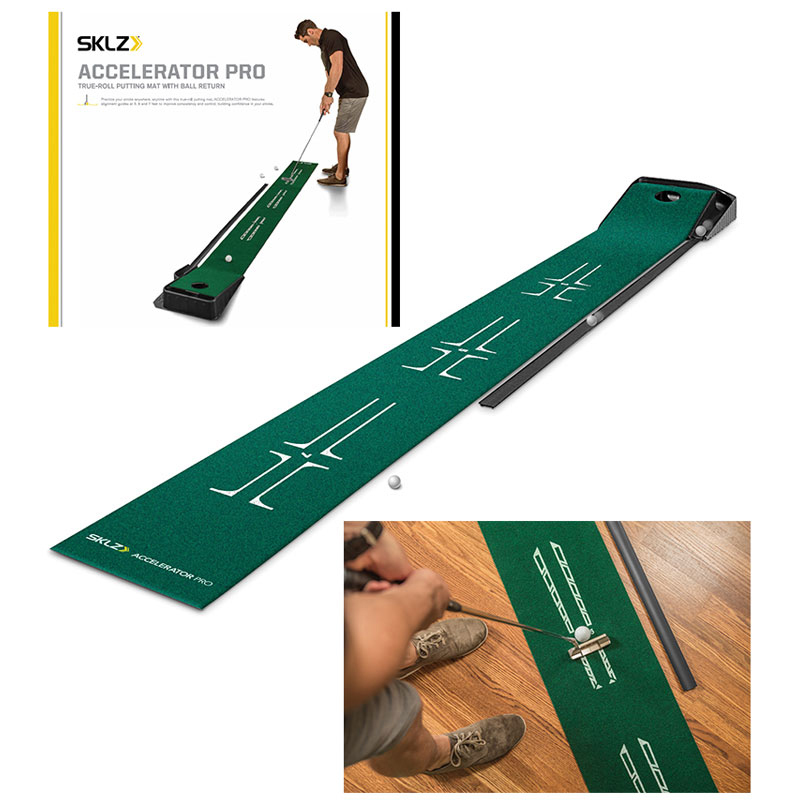 Improve your putting at home with this excellent putting mat from SKLZ. 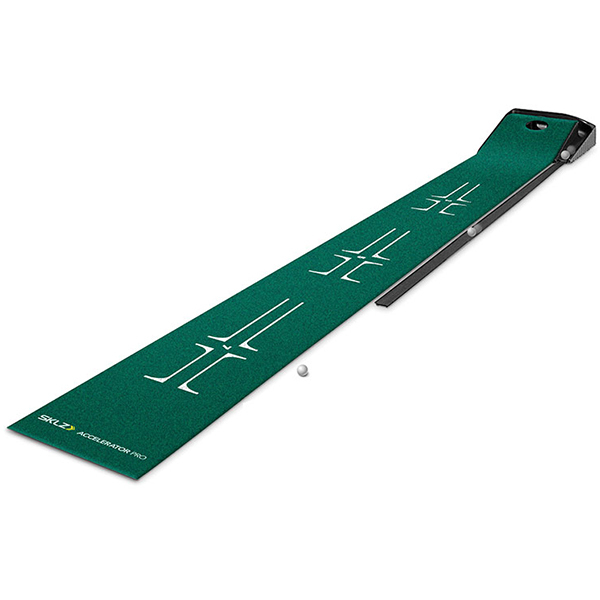 This mat helps you develop the perfect alignment and backstroke from 3ft, 5ft and 7ft. The 'true roll' surface simulates the feel of a real green, so when you get to the golf course, you are ready. It also features an 'Auto ball-return' so that the ball comes back to you, whether you hole out or miss the hole.